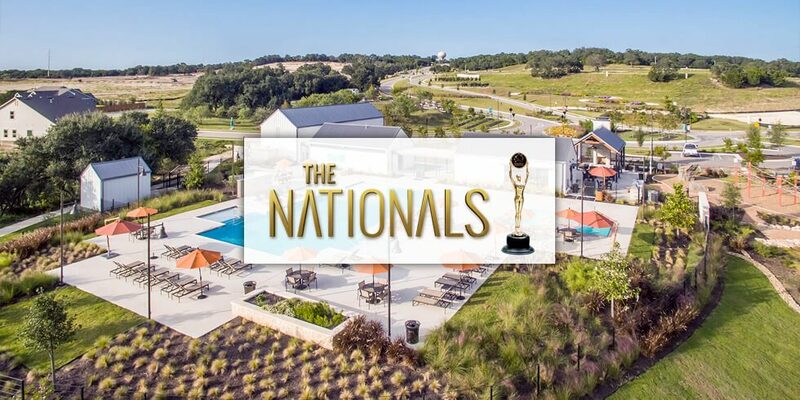 Freehold Communities is proud to announce that its Orchard Ridge master-planned community located north of Austin in Liberty Hill, Texas, has won two Silver Nationals Awards from the National Home Builders Association (NAHB): Best Landscape Design and Best Radio Commercial/Campaign. Presented by the National Sales and Marketing Council (NSMC), a council of the NAHB, The Nationals honor the best of North America’s new-home sales and marketing initiatives, showcasing winners in distinguished national, regional and local publications. The winning radio campaign was produced by White Hat Agency. The team used an “old-time” jingle coupled with descriptive, emotional language to maximize the reach of the weekend radio buy. It was designed to communicate Orchard Ridge’s key messages with target audiences. In addition to receiving industry awards, Orchard Ridge is served by the top-rated Leander Independent School District (LISD), which remains one of the fastest-growing districts in Texas. LISD is ranked within the Top 20 districts in the state for both academics and athletics. Orchard Ridge, by Freehold Communities, is a master-planned community located east of Liberty Hill, Texas. It is a collection of amenities and scenic expanses inspired by the past with an eye toward the future. Orchard Ridge exhibits Freehold Communities’ commitment to creating Vital Communities that promote healthy living, connectivity, stewardship and a strong foundation for home and family. NAHB strives to protect the American Dream of housing opportunities for all, while working to achieve professional success for its members who build communities, create jobs and strengthen the economy. Each year, NAHB’s members construct about 80% of the new homes built in the United States, both single-family and multifamily. For more information, visit https://www.nahb.org/.